Product #1055 | SKU 19-001-0004 | 0.0 (no ratings yet) Thanks for your rating! The Redrock Micro nano - Stealth brings stability and support to your DSLR handheld video. 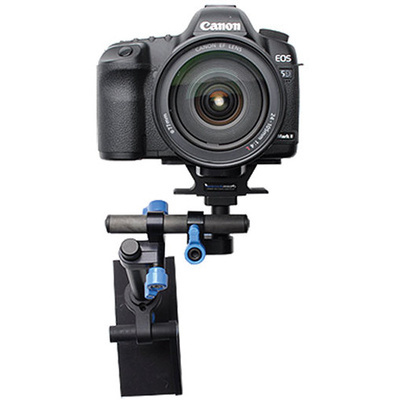 Attaching to the bottom of the camera via the included baseplate, the rig's adjustable body pad extends against the chest to provide a comfortable foundation for your camera. At the same time, the Stealth keeps both hands free to operate and guide your camera and lens, taking the weight off your arms and eliminating shakiness from your video.